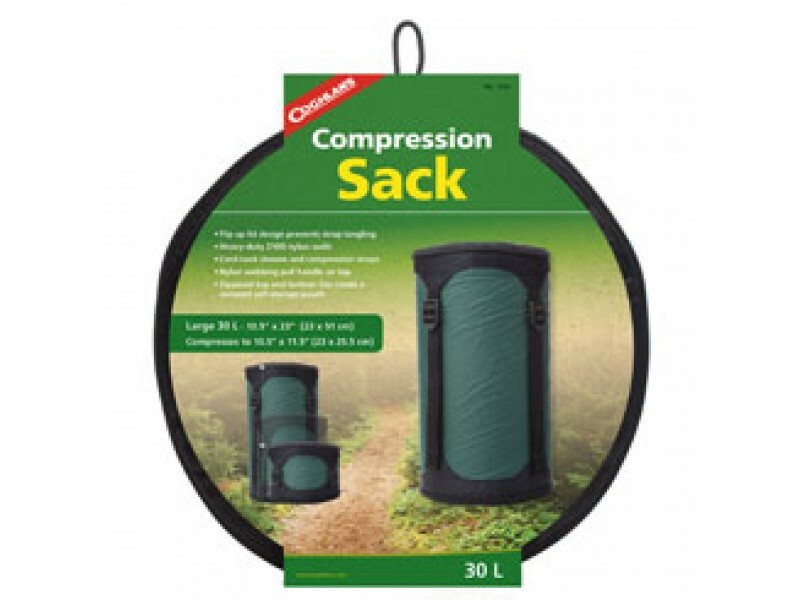 Buy 30L Compression Sack , from Coghlan's Ltd for $14.99 only in My e-commerce. 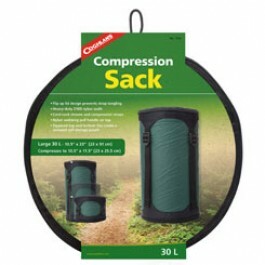 Compress your gear into half the space. “Flip-Top-Lid” prevents strap tangling. Four straps with buckles allow for even compression and a handy grab handle on top for transporting. Unique self-storing pocket design stows sack into a small flat disc that takes up very little space.